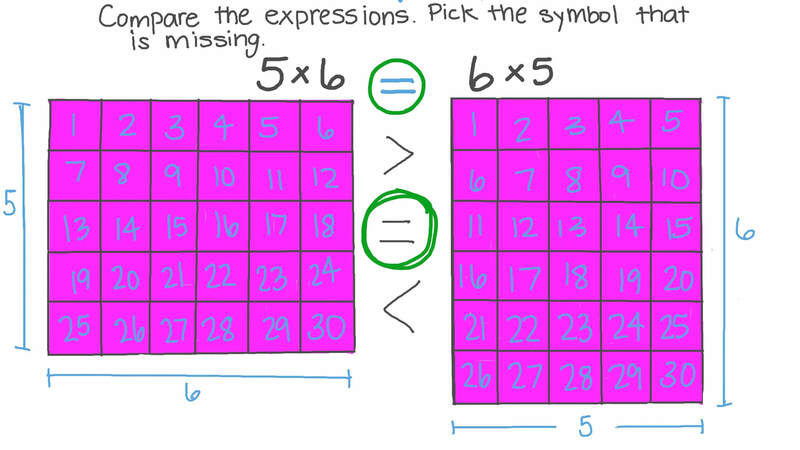 In this lesson, we will learn how to apply the commutative property of multiplication within 100 using arrays and area models. Compare the expressions. Pick the symbol that is missing. Use < , = , or > to fill in the blank: 4 × 6 6 × 4 . The flowers in a garden are in 3 rows and 7 columns. How many flowers are in the garden? 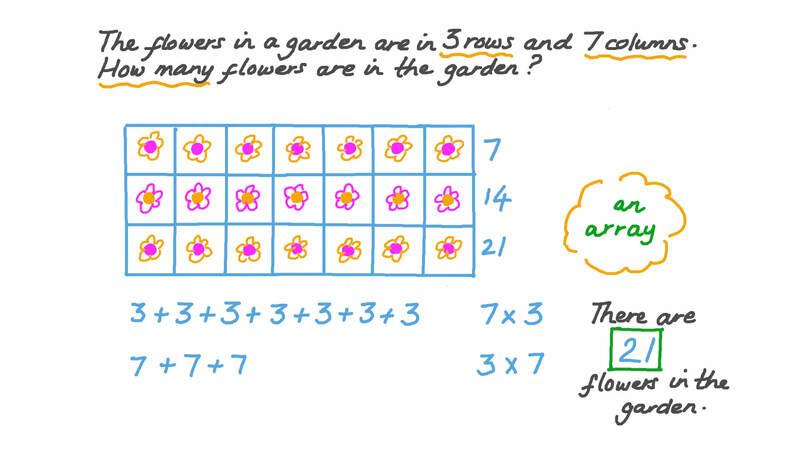 Which calculation describes the total number of flowers in this garden?